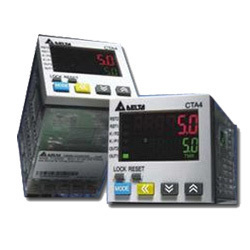 We are highly developed service providers and we excel in offering CTA Timer / Counter / Tachometer (CTA Series) These products are capable of receiving external input signals. They are available at industry leading prices and are able to calculate the times of events, frequency and driving speed. Moreover, we develop products in accordance with the most updated market trends and these products are customized and packaged according to customers’ specifications. These products are generally used in Label printers, cut-to-length machines, etc.